The Democratic state representative addressed CPO 12C in Cornelius on Tuesday. 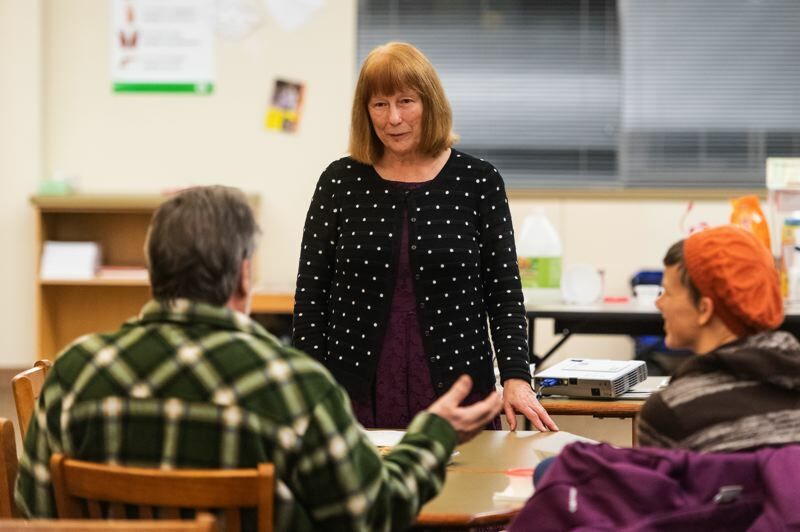 Forest Grove, Cornelius and west Hillsboro's state representative has some new clout in Salem, she told community members at a meeting in Cornelius on Tuesday, Jan. 8. Rep. Susan McLain, a Forest Grove Democrat who was re-elected last year to a third term in the Oregon House of Representatives, said that she has traded in two of her five committee assignments in order to take the gavel for a budget-writing subcommittee. "I asked for a specific Ways and Means committee," McLain told members of CPO 12C, the Washington County Community Participation Organization for Cornelius and the west Dairy Creek area, at the group's monthly meeting in the Free Orchards Elementary School library. "It's very difficult to get on Ways and Means. It's taken me two terms to get there, but I lobbied hard this time." McLain will co-chair the education subcommittee alongside Portland Sen. Lew Frederick. That group of lawmakers will be responsible for drafting the Legislature's proposed budget for public education in the state. 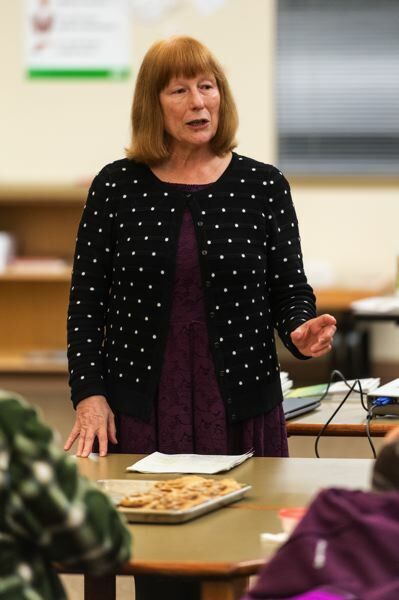 "I believe I have a lot of experience and background to help prepare me for this conversation with the budget committee," said McLain, a retired public schoolteacher who spent most of her career in the Hillsboro School District. Education funding is a perennial issue in Salem, and McLain said she expects it to be a major topic for the 2019 Legislature. "I think it's going to be a barn-burning session," McLain predicted. McLain will also co-chair the House Agriculture and Land Use Committee, and she is assigned to the House Economic Development Committee and the Joint Transportation Committee as well. Additionally, McLain said, she is continuing with her work as part of the Legislature's task force to study self-driving vehicles. As McLain noted, while autonomous cars, trucks and buses have long been seen as the wave of the future, and technology has advanced to the point where they are technically feasible, there will have to be a "framework" developed to guide how they are introduced onto public roadways and regulated. A mass movement from human-driven vehicles to autonomous vehicles would likely cause radical changes to traffic patterns, freight movement and more. "Those are real serious questions that we are trying to really look at in a very logical and critical-thinking fashion," McLain said. In response to questions from the audience at Free Orchards Elementary, McLain defended the Legislature's decision in 2015 to consider tolling as a way to raise money for road and highway improvements. However, she said policymakers still need to hammer out a pricing model that will be effective in raising revenue without unduly burdening commuters. "We don't want to hurt the poor," McLain said. "We don't want to have people who don't have the ability to pay a fee have to pay a fee." State officials will also want to be certain that tolling highways won't end up causing traffic disruptions on side streets, McLain said. One attendee expressed concern that tollbooths will end up making traffic on Interstate 5 even worse. McLain said she does not anticipate that will happen, noting that current technology allows for electronic tolling without vehicles needing to stop at a booth. Public opinion surveys show tolling — or "congestion pricing," as advocates like McLain prefer to call it — is unpopular among Oregonians, and legislators have been reluctant to embrace the idea in past years. But McLain said she believes the state's bridges have not received enough attention, and both bridge work and other transportation projects need funding that isn't readily available from other sources. "We used to get a lot more support from our federal government on infrastructure," McLain said. "I-5 was built with so much support from our federal government. The light rail was built with a lot of support from the federal government. And so now they're looking for more tools in the toolbox. The congestion pricing conversation has to be had." McLain also fielded questions about a bill she said she will file to increase the amount of neonatal screening for genetic disorders that the State of Oregon requires. McLain wants to model Oregon's newborn screening requirements off those of Tennessee. "We're going up to 65 different types of actual screening that we'll have done on our babies, just like they do in Tennessee," McLain said. Several attendees wondered how heightened screening requirements would affect new mothers' medical expenses. McLain said her office has run the numbers and anticipates that patient bills will increase by only $1 to include the full battery of screenings. "Many times, it's covered by insurance, and it depends on the insurance that you have," McLain said. The 2019 Legislature will convene Tuesday, Jan. 22.